The BBC has decided to explain the reasons why it is not using the Dolby format in its Freeview HD feeds, after it came under some criticism from audiophiles that it was supplying a Dolby feed on its satellite broadcasts but not its Freeview ones. Forums like Digital Spy have been awash with users wondering why this is the case so this has prompted Phil Layton, part of the digital service development at the BBC, to explain all in a blog. 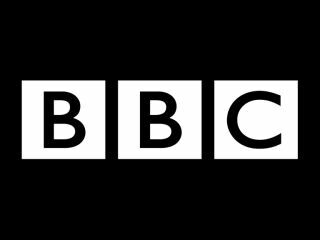 "The BBC is required to provide an audio description service on BBC HD," Layton notes. "Typically there are two to three programmes everyday which are audio described. In order to achieve this we have to use the HE-AAC/AAC audio codec present in Freeview HD receivers." Layton goes on to explain that the Freeview HD receivers out can only decode one type of audio at any one time, so this means that the BBC with its audio description constraints has to stick with the AAC format. As for sending out programmes without audio description in Dolby, this isn't going to happen because "the restriction around the ability only to have a single audio codec working at any one time means that changing audio codecs at programme junctions results in disruption to the decoded audio." This doesn't mean that we won't ever hear Dolby (ie surround sound) on BBC programmes piped through on Freeview HD, as Layton does note that set-top box manufacturers are trying to remedy the situation. As for Dolby and its carrying of audio description, Layton is hoping that the Dolby EAC3 format will be able to deliver receiver mix audio description in the future.